The summit will feature two tracks- one for entrepreneurs, and one for investors. The entrepreneur track will feature presentations focused on equipping business owners with the tools and knowledge to initiate, expand, or sustain, a successful business. The investor track will provide an intimate and honest look at the perils and privileges of cannabis investments, as well as case studies by first-hand investors. Coming off of the game-changing 2016 elections, 2017 will be a defining year for the emerging legal cannabis industry as 8 new states join the ranks of legality, while a new Republican President takes office. NWMJ Law Room D201 - Cannabis Business Valuation or What is your cannabis business worth? What is your cannabis business worth now? How can you grow your business value? What methods are used by potential buyers? Learn the answers to these questions and more, and review past prices for acquired cannabis companies. Anne van Leynseele of NWMJ Law leads a candid discussion with stories from the frontline about finding the right people, resources, and creating a structure for solid business in this highly regulated industry. Schedule 1, 280E, legalization and regulation and the dynamics of a highly volatile emerging commodities market make this an interesting proposition for investors. Understand the unique investment profile of cannabis be a better cannainvestor. 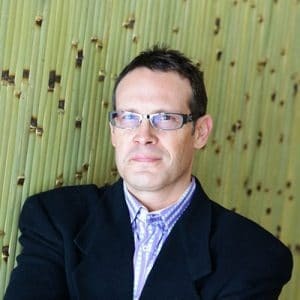 You will learn how a lender thinks and what is different between a lender and an investor, how to plan, prepare and present your business successfully to funding sources and what are the top 10 sources for your marijuana business from Scott Jordan. Scott Jordan has arranged over $25 million in loans and equipment leases in the last 2 years and who did his first marijuana loan in 2009 for a Denver dispensary. Cannabis legalization is attracting smart investment money from other sectors. Often though, savvy investors new to cannabis do not see some of the unique risks that are common to cannabis start-ups. This presentation will present a checklist of pitfalls that every investor should consider when evaluating a cannabis company. If your business needs to raise capital or is ready to sell, you must be ready for the extensive due diligence process that will be required by investors and acquirers. Being unprepared will turn off investors and could cost you the deal. This session will use real-world examples to cover both the fundamentals applicable to every business going through this process -- such as clean corporate, ownership and accounting records -- as well as issues that are particularly important in the cannabis industry -- such as regulatory and tax compliance, and proving potential for growth in a competitive and fragmented industry. Cash flow is a consistent problem for new cannabis businesses. There are trillions of dollars in retirement assets in the United States. Structuring IRA assets to loan money to cannabis companies can help the business with needed capital and offer attractive returns to the IRA holder. Learn how investors are receiving monthly checks and double digit annual returns while safely investing in the legal marijuana business. This is designed for companies or individuals with a minimum of $1 Million available for investing in growing cannabis companies needing capital to expand their business and purchase real estate, equipment or fulfill orders for their existing successful operation. The industry's practices and legal status impact the nature of disputes and options for resolving them. Learn what your businesses can do to minimize the chances of litigation and strengthen your position when a fight is unavoidable. In this session, Jenny from MacArthur Investments will share the due diligence checklist they use for vetting their investments and how these relate back to ROI. You'll get a real-world look at how investment firms are evaluating this emerging industry. Marco is a shareholder with Emerge Law Group. 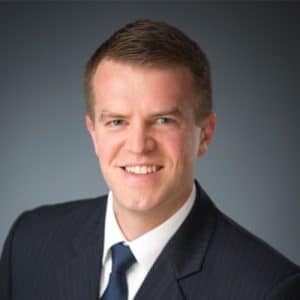 He is a general business lawyer with a practice focused on emerging growth companies, mergers and acquisitions, corporate finance and a range of other business matters.He has significant experience advising clients with respect to securities offerings, corporate governance, intellectual property protection, regulatory compliance, entity structure, shareholder agreements and general contract negotiation. 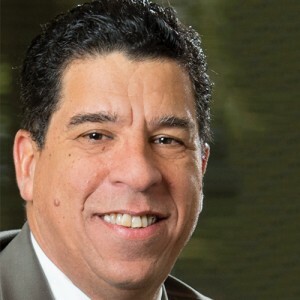 Prior to joining Emerge Law Group, Marco was a partner at Tonkon Torp LLP. He also previously worked in London and Hong Kong for Herbert Smith LLP, where he represented corporate clients and investment banks in a range of business transactions, including public securities offerings and mergers and acquisitions. Marco received his J.D. in 2005 from the UCLA School of Law and his undergraduate degree from Cornell University. 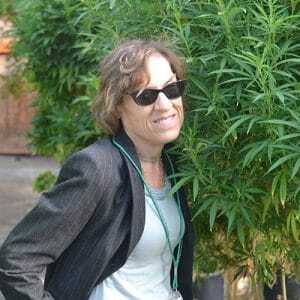 Anne van Leynseele, with a JD and an International MBA, is the consummate corporate cannabis lawyer. She views legal issues through a commercial lens and becomes a trusted legal and business advisor to a variety of cannabis entrepreneurs. 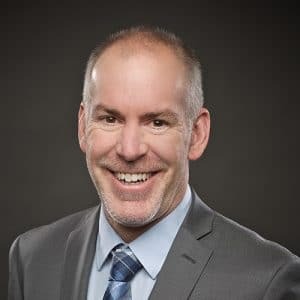 Founder of an investment firm, Darrin has over 25 years of experience developing retirement plan software solutions for companies in a variety of industries, helping participants and employers mitigate risk and maximize their investment potential. He also is partnered with a premium cannabis company with locations in 4 states that specialize in cultivation, extraction, manufacturing edibles, and several retail operations. 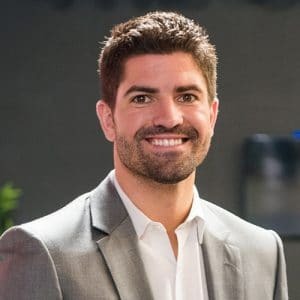 Nick is the co-founder and CEO of Kush Bottles, the industry's premier packaging company that recently made the transition to a public company, and now is among the highest market cap of any company in the cannabis industry. 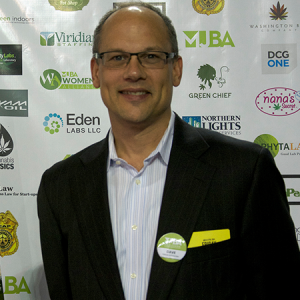 Dave was the primary drafter of Oregon Ballot Measure 91 and has a unique understanding of the corporate law challenges that cannabis businesses face. Prior to co-founding Emerge Law Group, Dave was a shareholder at Schwabe, Williamson & Wyatt, P.C., Oregon's second largest law firm. He also worked on-site at Intel Corporation where he drafted and negotiated numerous contracts. For eight years, Dave was an adjunct professor at the University of Oregon School of Law, where he taught a mergers and acquisitions lab class. Dave has also served as an Executive Committee Member of the Oregon State Bar Business Law Section. Dave received his J.D. from University of Oregon School of Law in 1994. Alex is an attorney with Tonkon Torp, LLP, where he co-chairs the firm's Cannabis Industry Group. Tonkon Torp was among the first leading business firms in Oregon to embrace the cannabis industry. Alex's practice focuses on resolving business disputes in and out of court. He represents individuals and companies on a variety of claims, including contract disputes, business owner disputes, and business torts. He has helped Tonkon clients win on motions to dismiss, on summary judgment, and at trial, in addition to negotiating numerous favorable settlements. 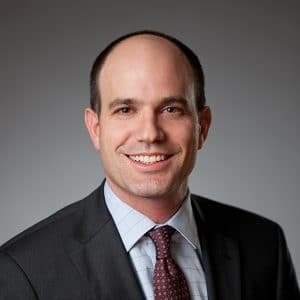 Since 2014, Alex has navigated litigation issues unique to the cannabis context on behalf of cannabis industry clients and individuals and companies doing business with them. Alex was named an Oregon "Rising Star" in business litigation by Super Lawyers in 2016. Shango is a cannabis business strategist and host of the popular Shaping Fire: Cannabis Innovation podcast. 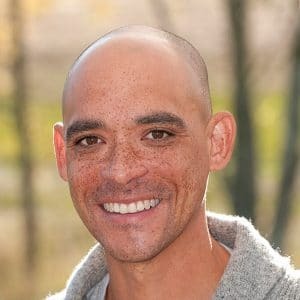 Before he departed to found Shaping Fire, Shango was founder and host of the Ganjapreneur.com podcast and produced 54 episodes interviewing cannabis luminaries about cannabis business and cannabis as medicine. The show was listened to by tens of thousands every week. Shango was also Director of Content and Brand Strategy for Ganjapreneur.com. 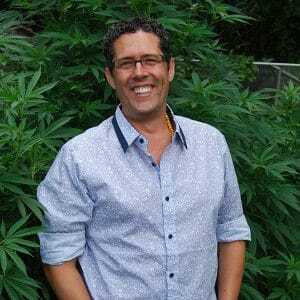 He is also founder of the Vashon Island Marijuana Entrepreneurs Alliance cannabis trade organization and has worked tirelessly to create new markets for cannabis health products produced on Vashon Island. A result-oriented executive with more than 10 years experience in marketing, communications, and client development, Jenny has been at the forefront of Oregon’s legal cannabis movement from the beginning. Her entrepreneurial drive inspired multiple successful startups over the last decade, including a digital agency subsequently acquired by Deloitte. Previous clients include American Express, L’Oreal, FOX, ASICS, and Paramount Studios. 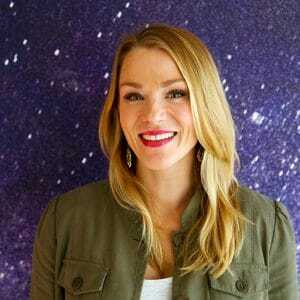 As an active promoter of the therapeutic and medicinal benefits of legal cannabis, her advocacy efforts have made her a top influencer in the emerging and powerful Oregon market. David Rheins is founder and executive director of the Marijuana Business Association. Based in Seattle, WA, the MJBA is a national B2B trade association providing business intelligence, professional community, and commercial opportunity for participants in the legal cannabis industry. The MJBA hosts many cannabis industry trade events, professional education seminars and workshops, and publishes the popular MJHeadline News on Facebook, MJNewsNetwork.com, and Marijuana Channel One on YouTube.